This Dooney bag is sweet, the owner took very good care of it. Noteworthy is the fact that the inside bottom lining in this series of bags is often curled up a bit. This one is curled also (see picture). Very Good condition; NOT NEW; Not Like New. 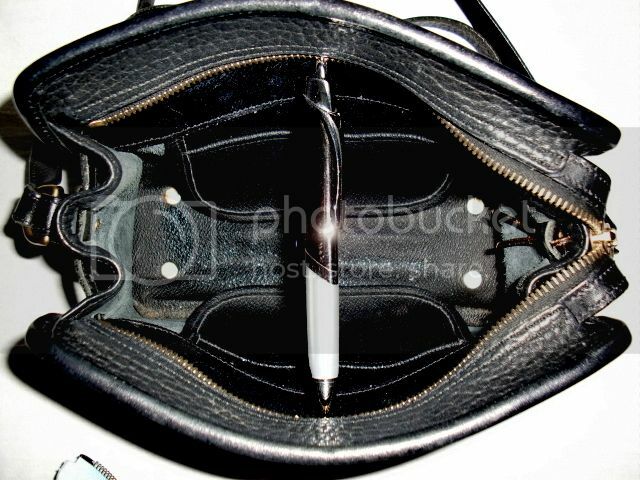 Signs of use are 2 spots on the inside side of bag which do not show through to the outside. For this reason, we have listed this bag in our BARGAIN BAGS section of the store which means you get a lovely Dooney at an incredible Bargain! Remember, NO RETURNS on Bargain Bags and as always fully guaranteed authentic Dooney or your money cheerfully refunded! Size: 9.5 inches wide by 7.5 inches tall by 3.25 inches deep. This is the smaller of the various zip top shoulderbags with a surprisingly generous carrying capacity. 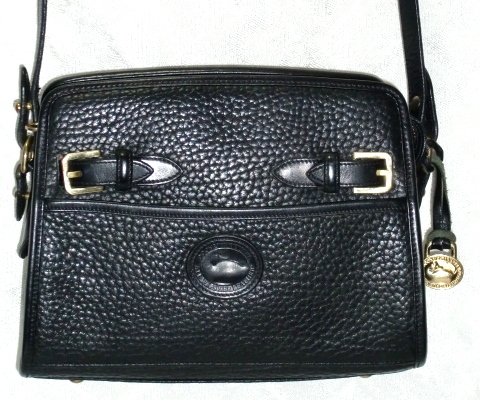 Shoulder strap is adjustable and removable allowing it to be worn crossbody if so desired. Leather Duck Seal is pristine! This was made during one of the two brief periods Dooney quit putting Serial #'s inside. This Dooney has authenticating factors which you read listed here. No tears, damage, missing or broken parts except as noted above. This is a pre-owned Dooney. Very Very nice Inside & Outside with minimal normal signs of use. 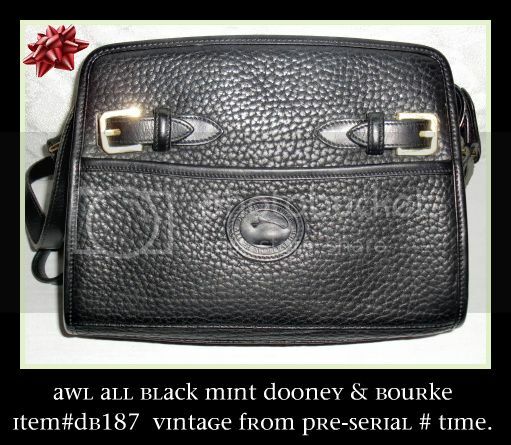 By law, I am required to say that I am not an employee of Dooney & Bourke and, to the best of my knowledge; each bag I have listed on my site as such is a 100% authentic Dooney & Bourke. If I cannot verify the authenticity of a bag, I will say so in the listing. FREE PRIORITY SHIPPING ON THIS BAG in USA!